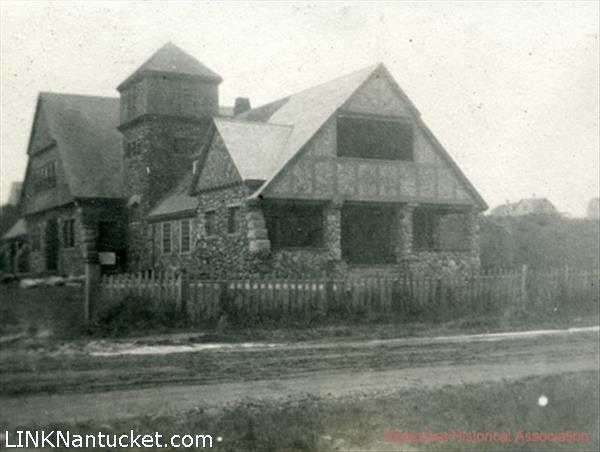 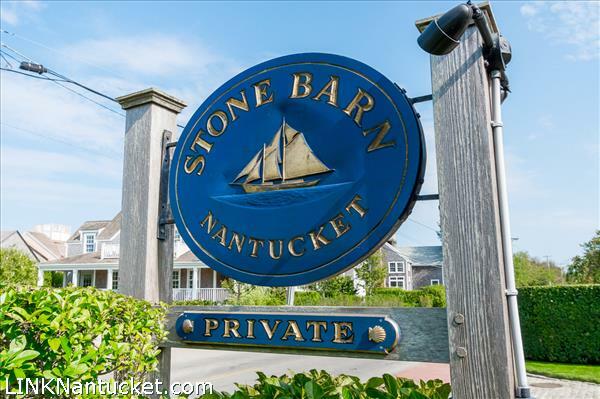 Description: Rich in history dating back to the 1800's, the Stone Barn remains one of the most iconic beacons of the Brant Point neighborhood. 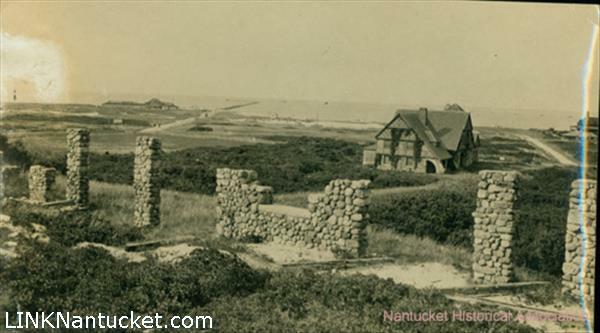 Originally built by Charles Robinson, deemed one of the most prolific builders of his time, the property began as an immense stable belonging to R. Gardner Chase. 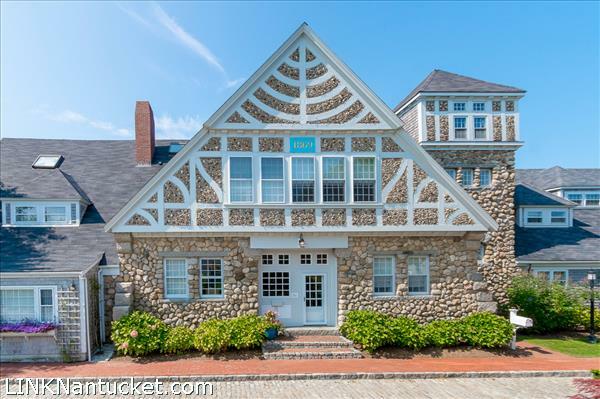 Comprised of massive stonework and exquisite woodwork, the building then evolved into an inn and finally into private residences as it remains today. 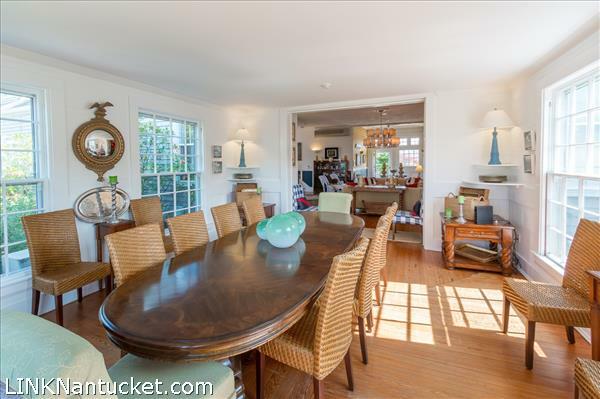 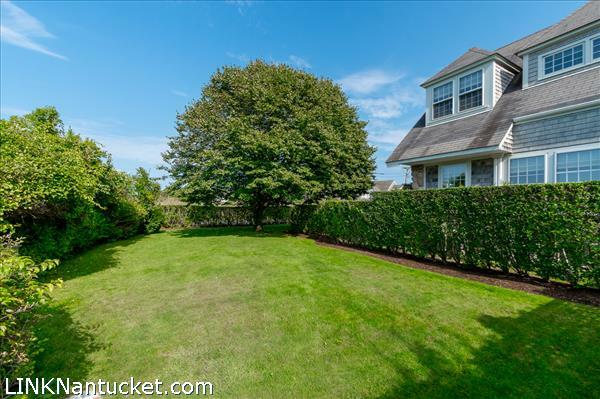 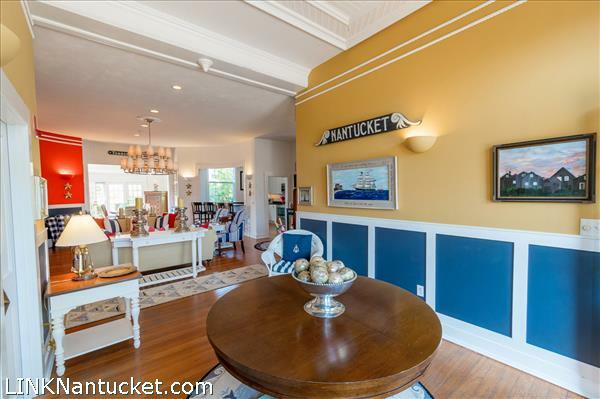 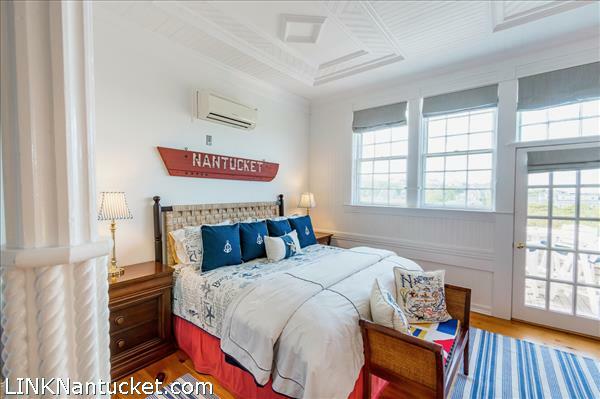 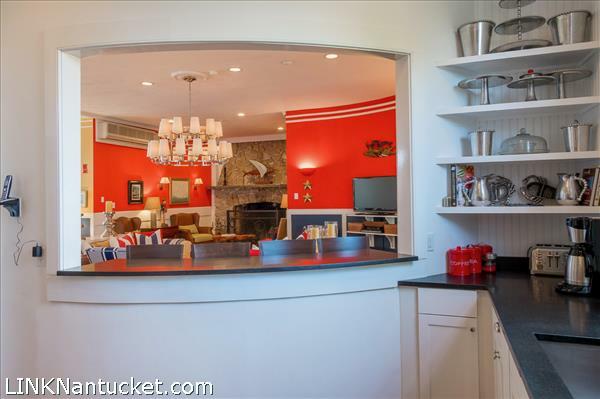 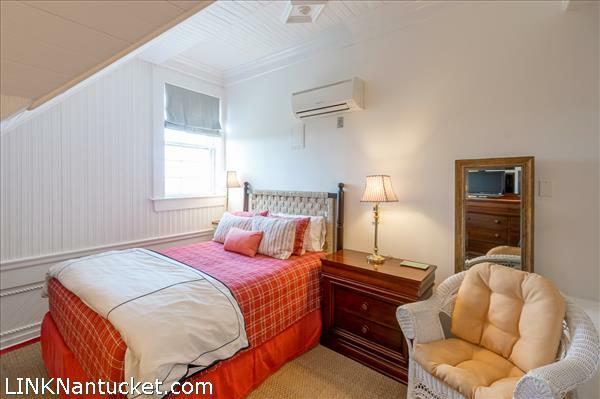 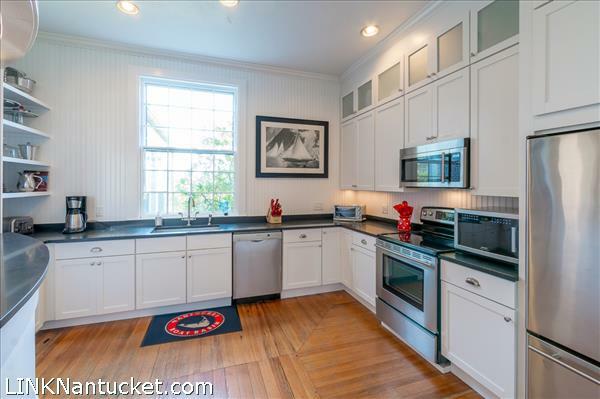 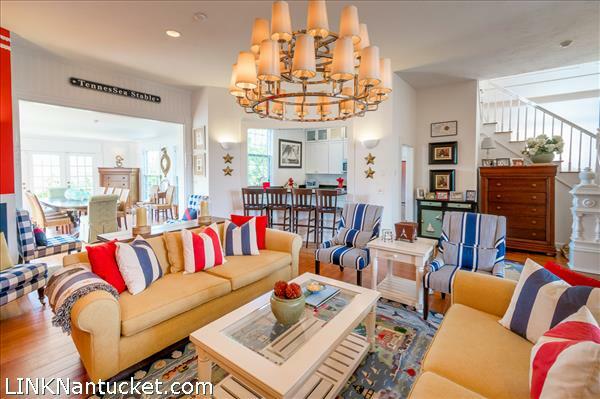 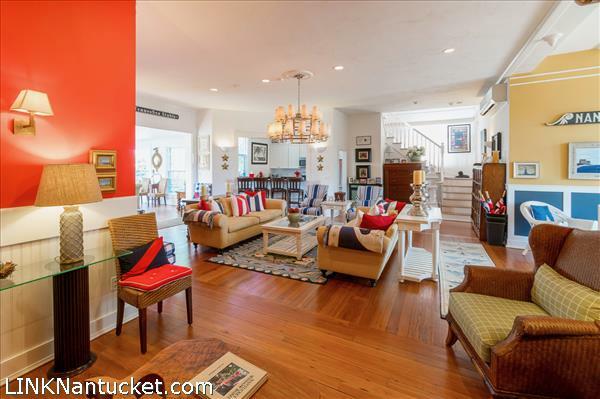 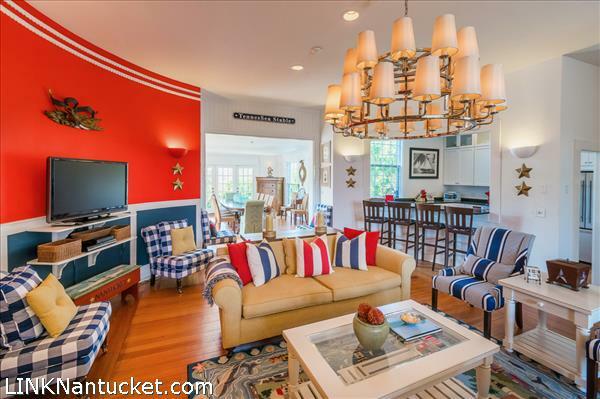 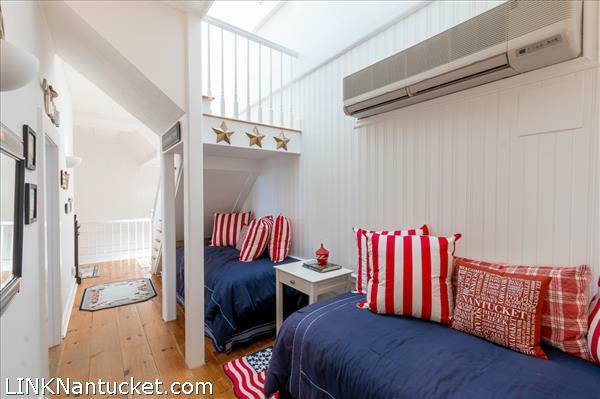 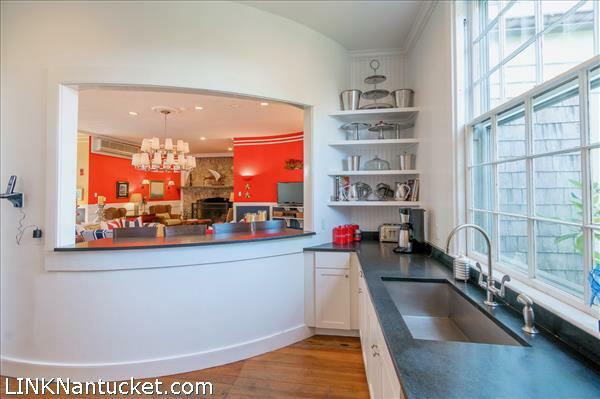 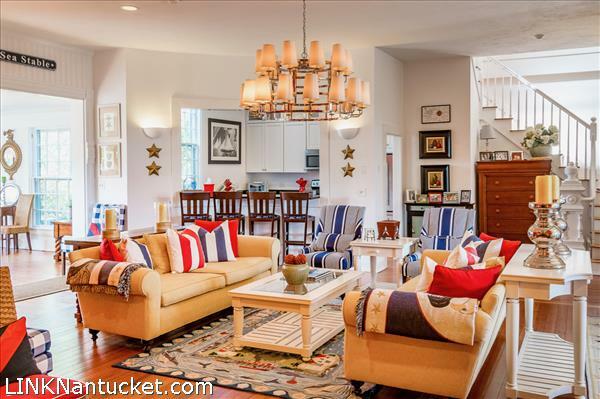 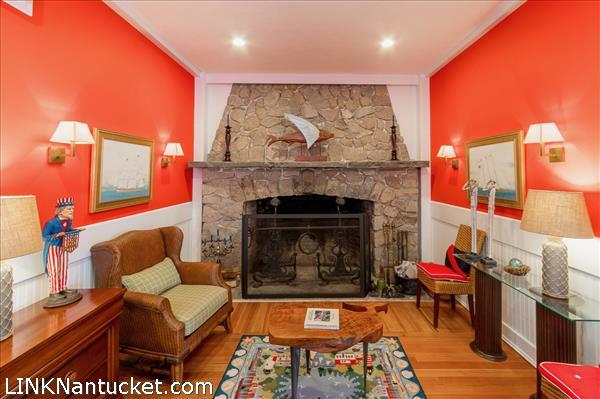 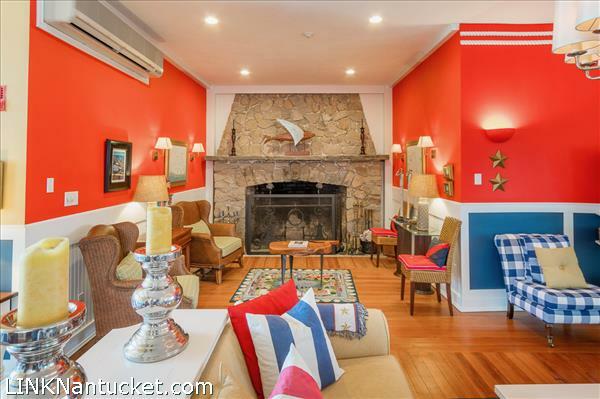 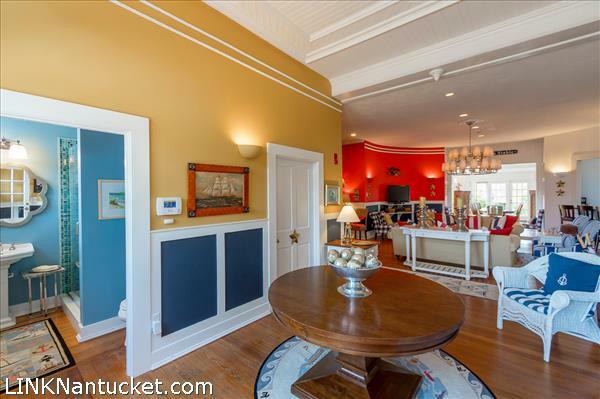 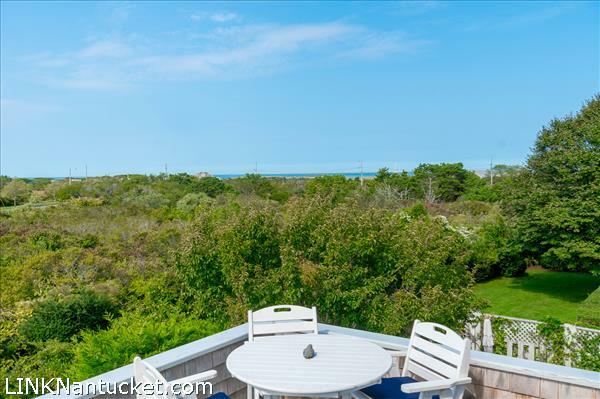 An enchanting, one-of-a-kind property moments to Jetties Beach and Town serves as the ideal setting to call home complimented with a steady rental history. 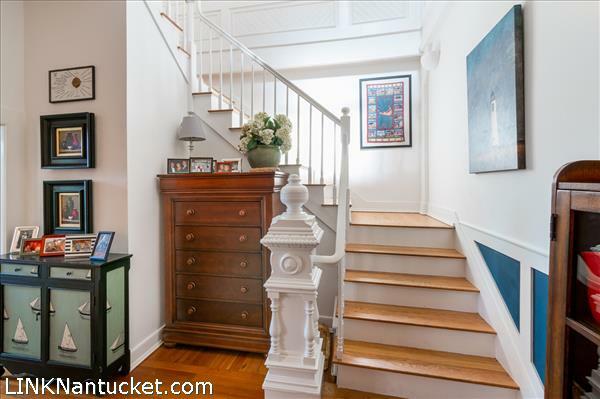 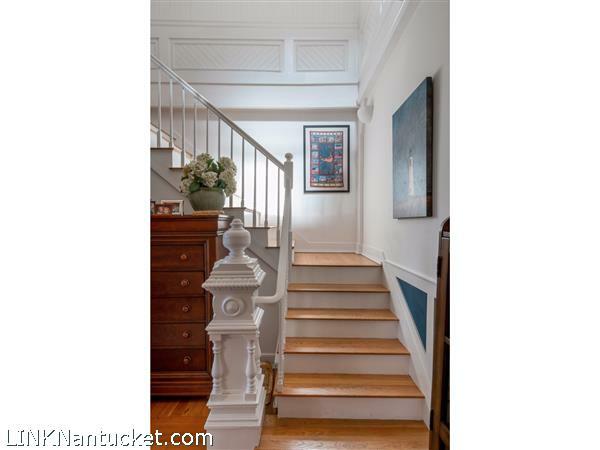 First Floor: Original carriage doors have been converted into a gracious entry which leads to a sizable and welcoming foyer. 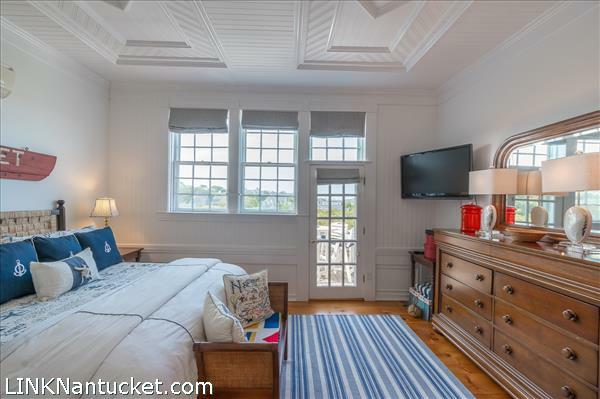 The 10' ceilings draw the eye to note the handcrafted and discriminating detail found throughout the first floor and all throughout the property. 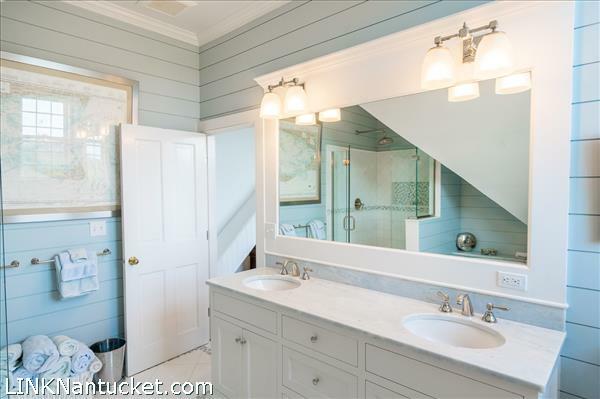 To the left is a bathroom with a glass and tile shower, the first of four newly renovated full bathrooms, as well as a separate laundry room with ample storage. 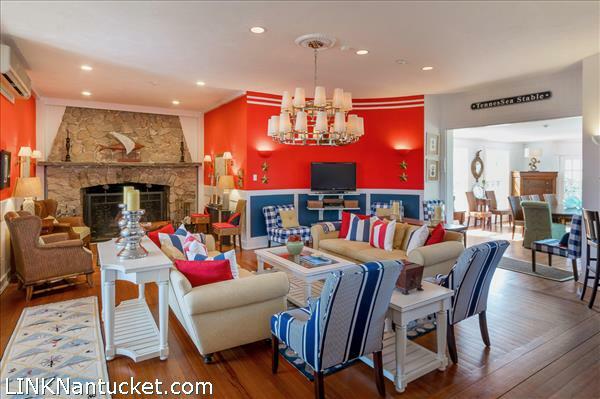 Beyond is an impressive Great Room with a 10' floor-to-ceiling stone fireplace and mantle serving as an anchoring focal point. 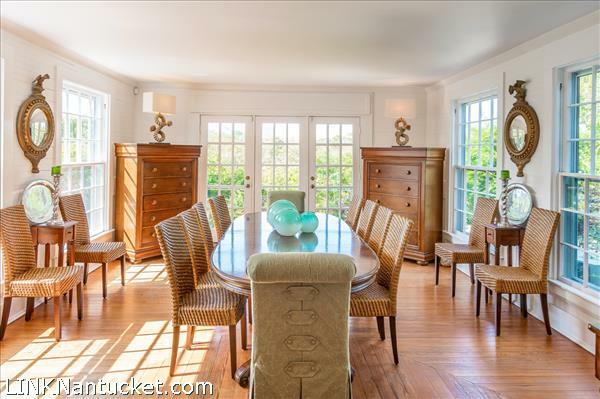 The living area flows seamlessly towards the dining room, which easily seats 14 guests, complimented by four large windows and two doors leading out to the back patio. 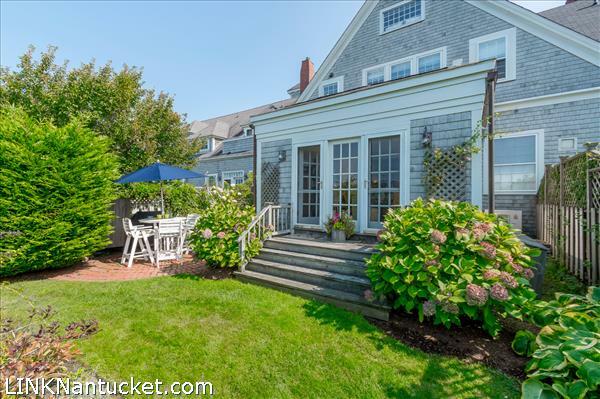 The patio has a gas hard-line for grill hook up, a private garden and grassy area which leads to a large shady yard for anyone staying at the Barn to enjoy. 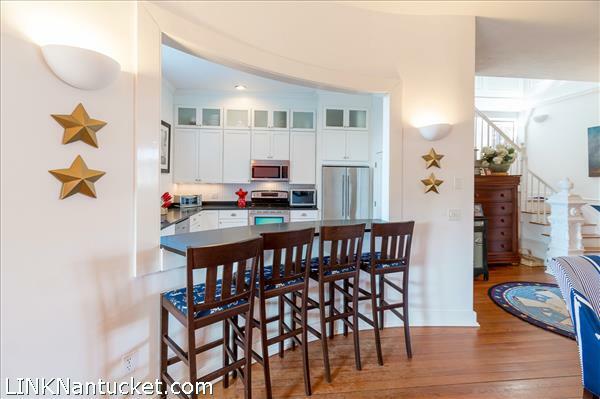 Off of the Great Room is the kitchen with floor-to-ceiling cabinetry, counter seating with room for four stools and a large pantry for storage and also home to the Eternal gas-fired on demand hot water heater. 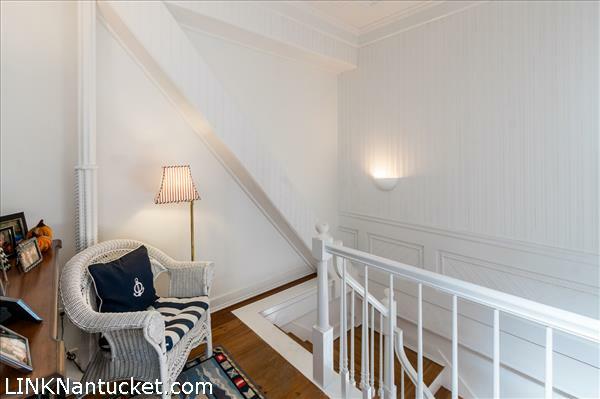 Second Floor: The original, intricate woodwork has been preserved and maintained on the walls and 10'+ ceilings throughout the second floor. 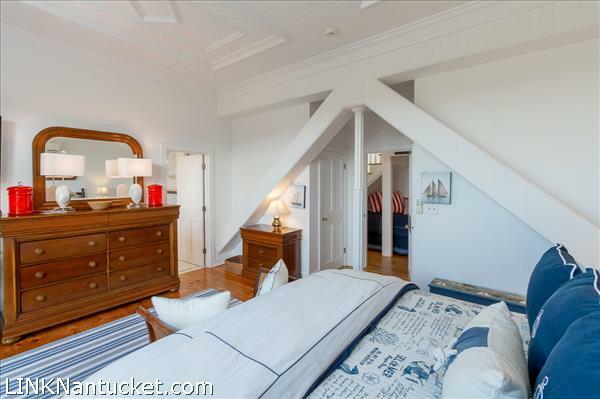 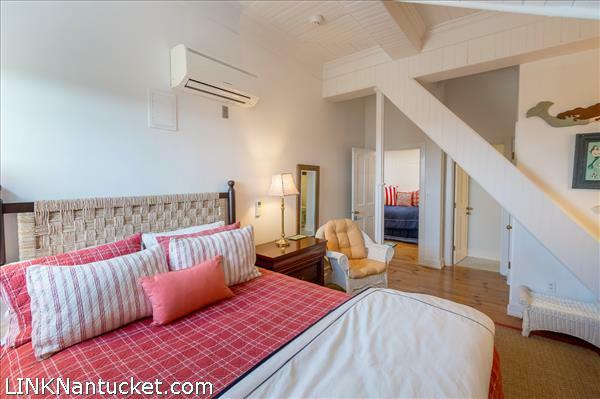 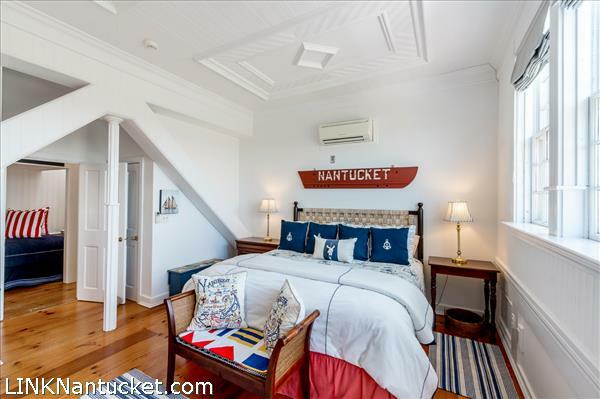 The master suite has two walk-in closets, an intricate ceiling pattern and a private balcony. 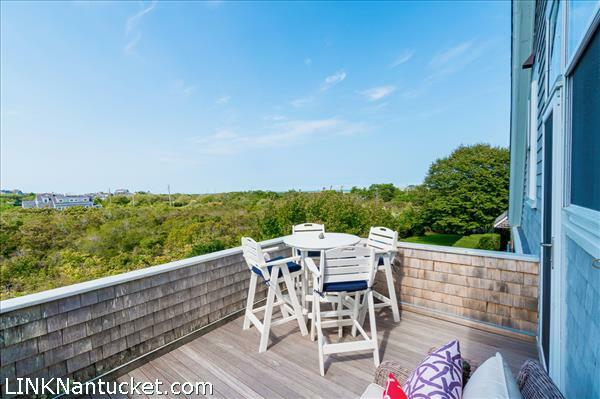 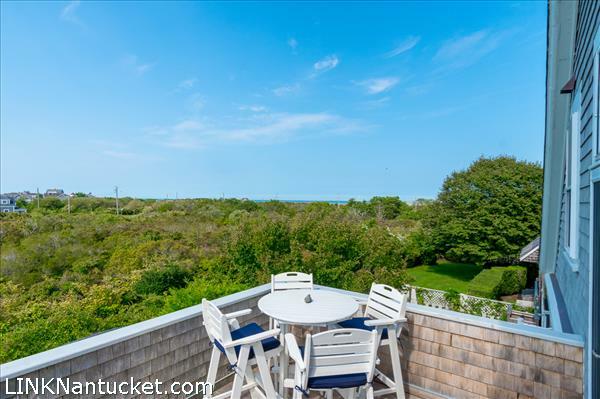 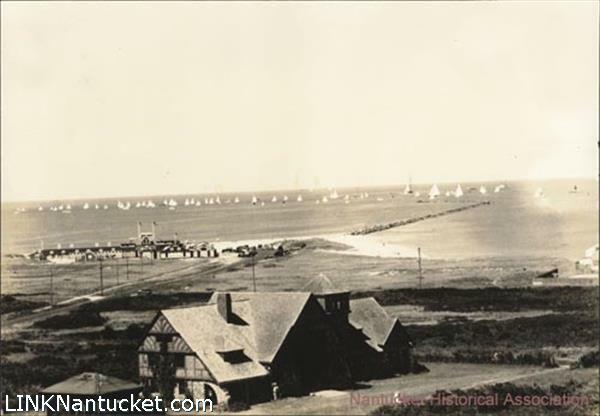 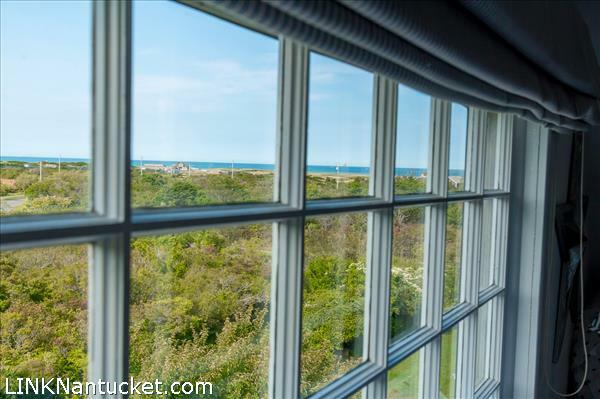 From the balcony, one looks over the Nantucket Conservation Foundation Bird Sanctuary and beyond to the Jetties. 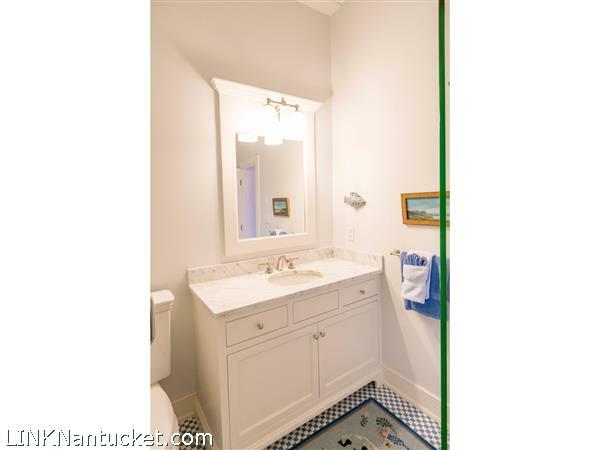 The master bathroom offers a tile and glass shower, a Victoria Albert soaking tub and vanity with two sinks. 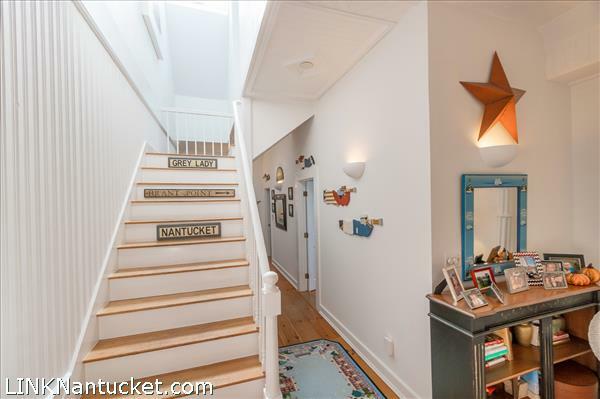 Down the hall is the second bedroom accented with vertical, horizontal and rope woodworking, views of the Conservation land below and Jetties beyond, a walk-in closet and a private bathroom with a glass and tile shower. 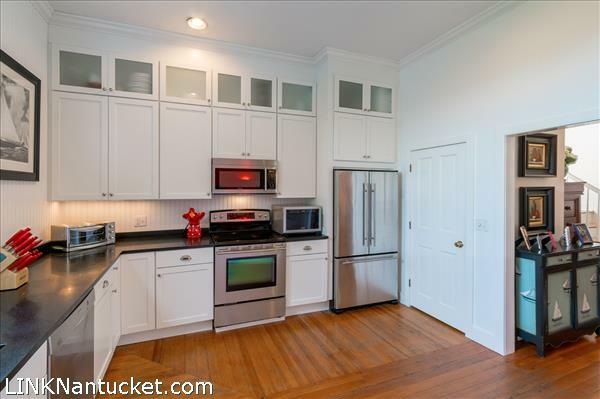 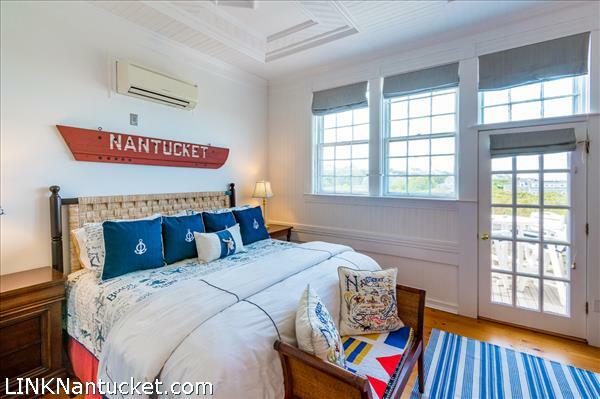 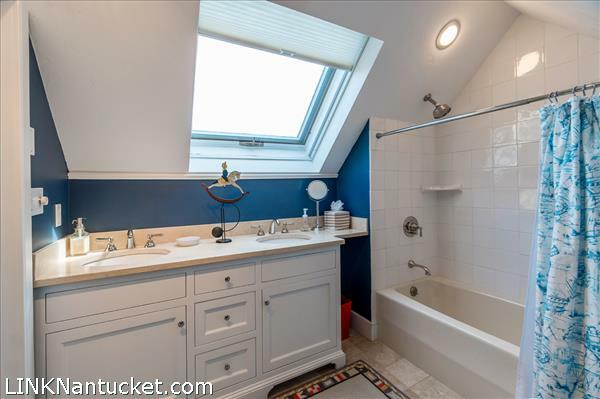 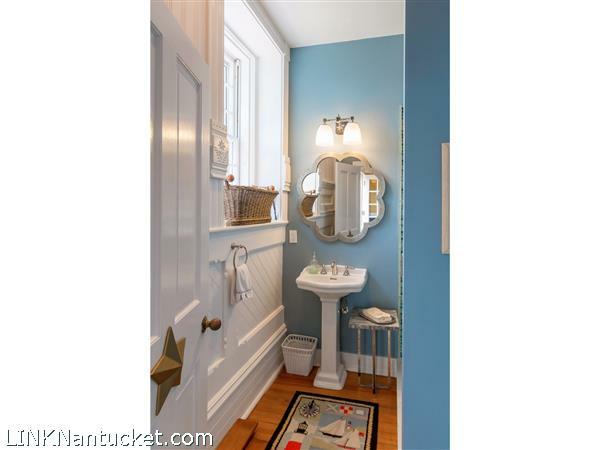 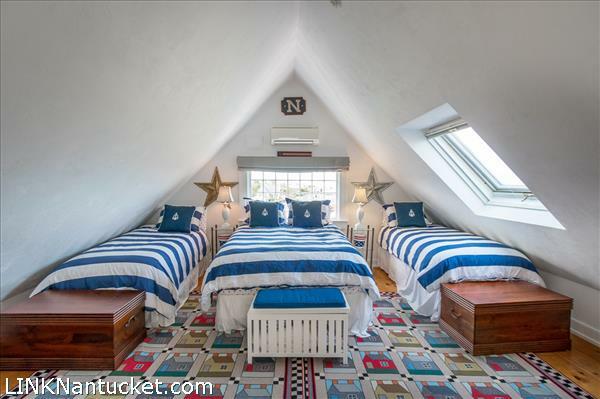 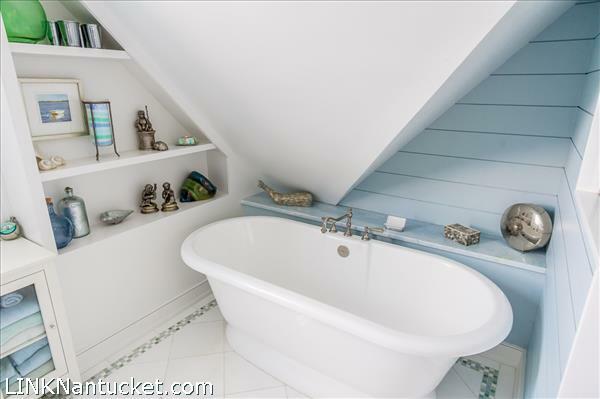 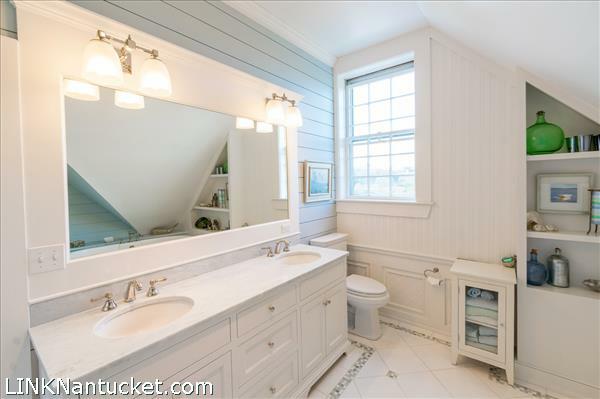 Third Floor: Large and lofty room with 180° views of the Jetties and beyond offers a multitude of possibilities and includes a full bathroom with a two-sink vanity and a tub/shower. 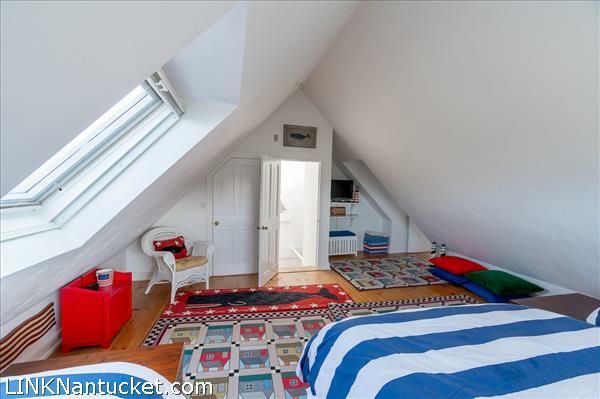 Basement: The crawl space has dehumidifiers and two sump pumps.